Interested in seeing what our team got up to in 2017? Here's what we got accomplished! When you search your Research board for certain terms, those terms will now be highlighted in the search results! We designed it to help you locate the right notes in less time and immediately identify sections of interest. When searching for notes on the Research board, use new search operators to improve your results. All available search operators are listed under ❓ in the search bar. Since we introduced saved views, you've been able to capture various column configurations on your Features & Releases boards and toggle between them for quick access to certain types of information. Now when you select a saved view and then add/remove columns, your view won’t be overwritten unless you decide to save over the original. You can now manually edit the email addresses of people who've provided feedback! If you ever need to export research notes out of productboard, you’ll now find two additional data columns for tags applied to notes and to the insights highlighted within those notes. 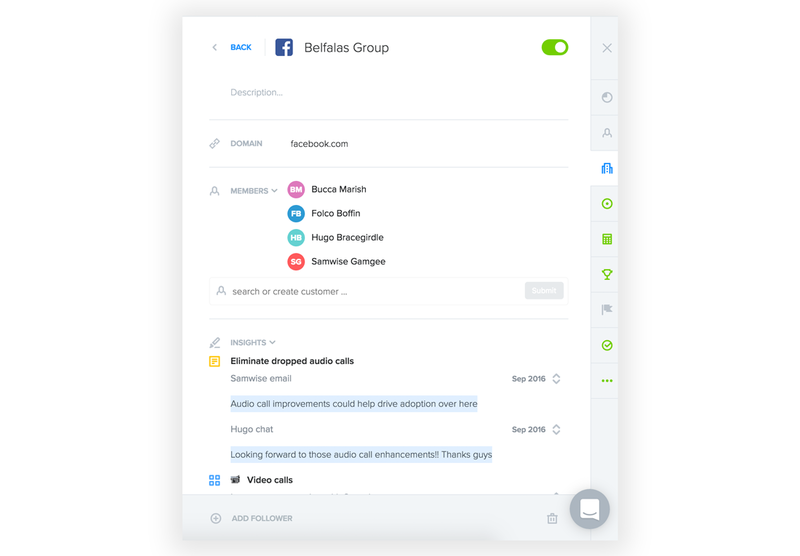 A new enhancement will help you link user insights to feature ideas in less time and with greater accuracy. Allow me to explain! 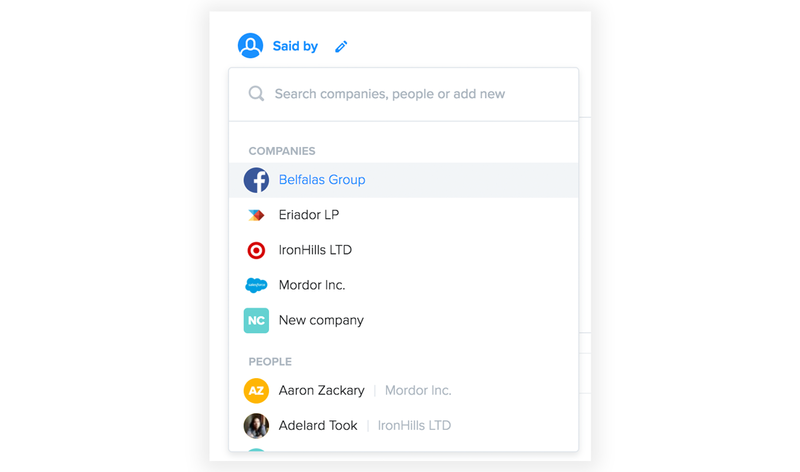 When highlighting an insight, you can now search for the area of the product you'd like to link to and then interact with the results to ensure you're in the right place. Similar functionaliy in the hierarchy column now makes it easier to move features and components around in the hierarchy. These new options will increase Roadmap legibility if you have a deep product hierarchy with many nested components. More importantly, it will help you build your plans around strategic initiatives, feature groupings organized around a clear objective. Admins can enable these new Roadmap configurations in Labs. You can now filter your Features/Releases boards to show features based on what types of user insights have been linked to them from the Research board. Which features were requested in the last 30 days? Which features were deemed critical by one or more users in the past week? Have we reached good enough for product X? Or have users continued to submit critical requests since we shipped the latest enhancements? 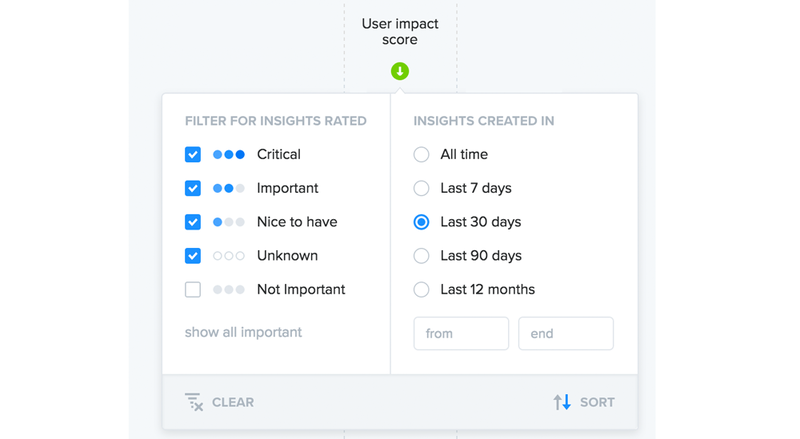 Filter for insights rated... shows just those features with one or more linked user insights assigned the selected importance ratings. Insights created in... shows just those features with one or more linked user insights created during a certain time period. Note that this pertains to the time the link was made, not the time the note was created. In the feature details pane, the linked user insights that meet filter criteria are emphasized. The Features board offers a new option for arranging features as a sorted flat list. Any sorts on the Releases board will be grouped within each release. This feature is brand new! Enable it in Labs to try it out (Private) or make it available for everyone in your project (Team). You can now have any fixVersions created in JIRA automatically pulled into productboard as new releases. This is helpful if not all releases originate in productboard before getting pushed into JIRA, such as a special refactoring release driven by engineering. fixVersions and releases are still 1-to-1. 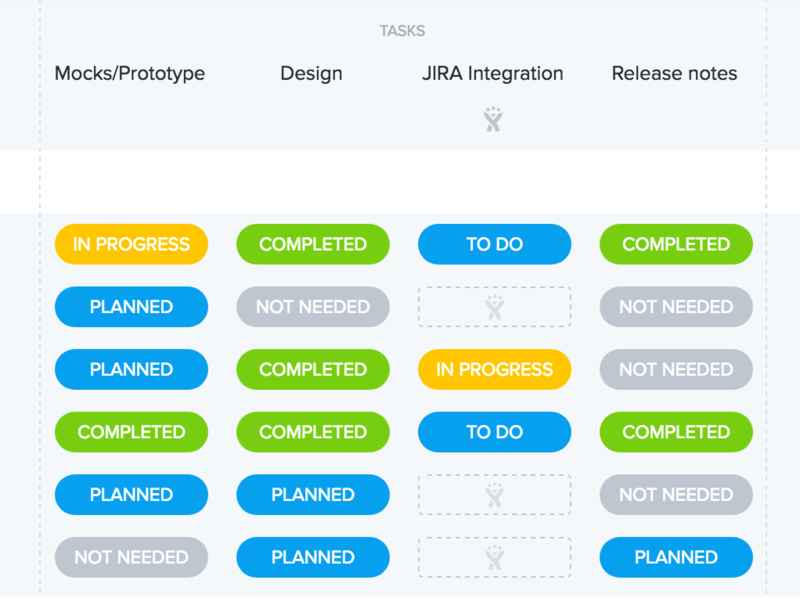 In the future, you'll be able to map multiple JIRA fixVersions to the same productboard release. You can add owners to products and display their avatars on your Features/Releases boards – just like you can for components and features. That'll help everyone quickly identify who own what product. Previously we called these things status columns. But what they really show is the set of tasks that must be completed before you can either begin development, or launch a feature. So, we're renaming them tasks. Previously the new Roadmap configurations could be enabled in Labs. Now they're available to all. 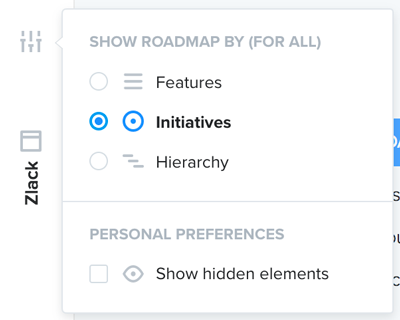 On your Roadmap, group each release's feature ideas as a flat list, by initiative, or by component hierarchy. You can now create saved views of your boards that capture filters, as well as other board configurations. We've made another enhancement to help you zero in on the most promising features. In short, our filters have become more strict. Previously when you used multiple column filters, productboard showed you all features that met either criteria. Now features must meet all criteria to be shown. 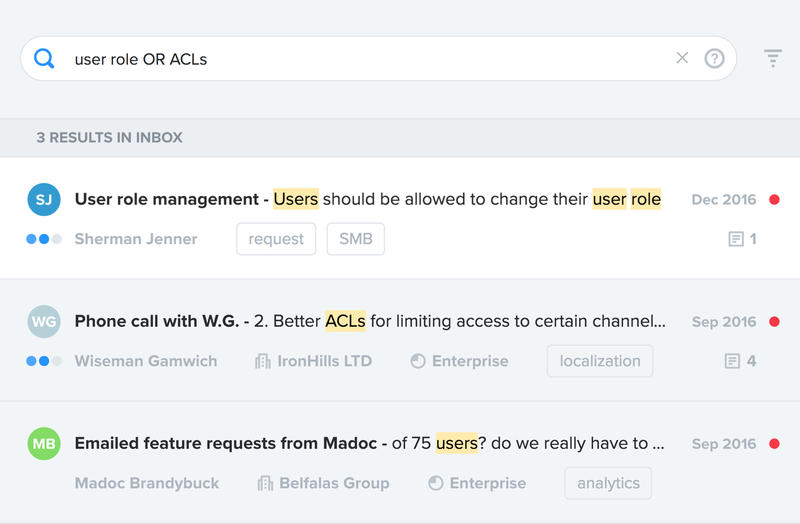 When reviewing feedback, you can now cut straight to the gist by toggling to show only the highlighted user insights a note contains. For each insight, see which features its been linked to and how it's been tagged. Do you work on a team of multiple PMs? Now you can filter your Features/Releases boards to see only those products and areas of a product that you manage. When submitting a new user insight in the Chrome extension, contributors can see which feature ideas a user has already requested, review their status, and quickly navigate to them in productboard. See what actions your colleagues have performed on various research notes and features with the new changelog found in note/feature details. Thanks to our newly implemented infinite scrolling, there's no longer a 200-feature limit when viewing features as a sorted list. Previously, formatting in feature descriptions appeared... differently... after being pushed to JIRA. Now it's formatted the same way in both systems. If you saw our most recent release, you'll know you can now use the productboard extension for Chrome to collect ideas & feedback from customer-facing colleagues. They'll all end up on the Research board in a special folder for Contributor insights (enable in Labs). Contributors can also now process the research notes they've created. Making products that matter requires a deep understanding of what users need. 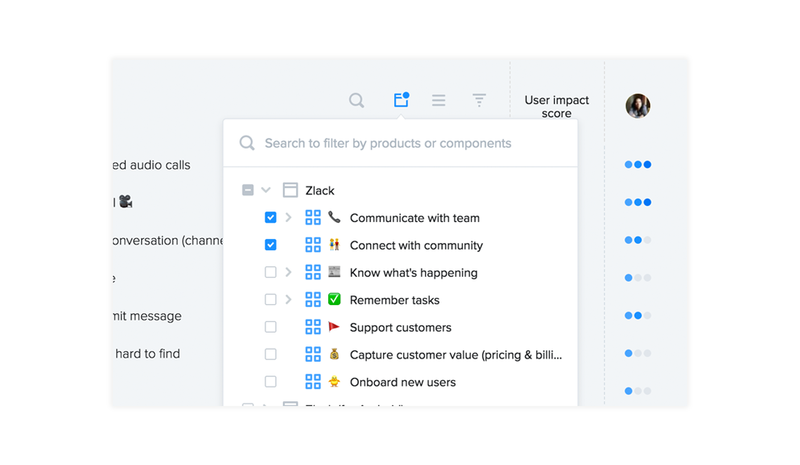 🔎 But with so many users out there for every PM, we could all use some help in scaling day-to-day user research efforts. So we got to work. Read on to see what's new! 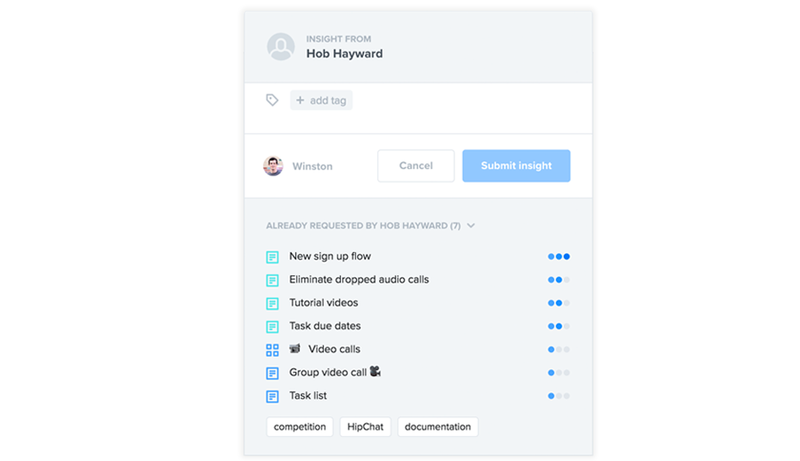 With the latest update it's now easier for your colleagues on support to submit just the most valuable user insights gleaned from any webpage or web app like Intercom. They can even begin processing them for you. You'll have that much more information when making product decisions, and you can easily see just those notes submitted by colleagues. Meanwhile, colleagues will have access to information like who's requested what, without even logging in to productboard. They'll also appreciate knowing their inputs are being put to use. Colleagues can also now process the notes they've created by highlighting and tagging insights. Just invite them into your project as contributors and they'll be able to highlight insights in notes right on the Research board. 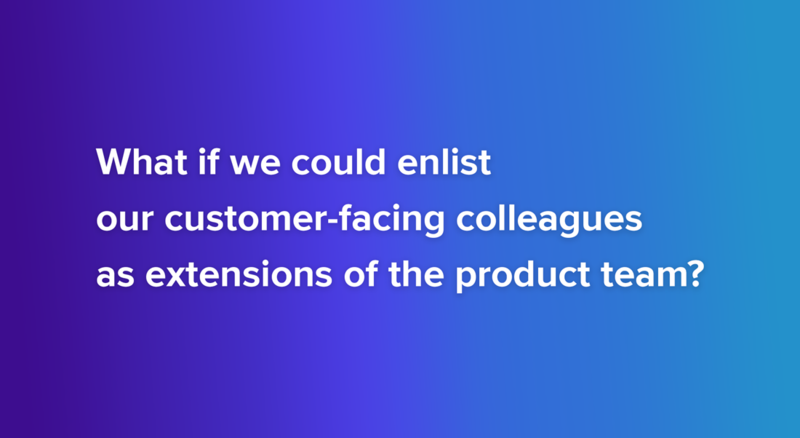 If you're a b2b product manager, chances are you'll sometimes hear that a certain feature is critical for a customer company but won't know who exactly at the company provided that input. We've got just what you need. 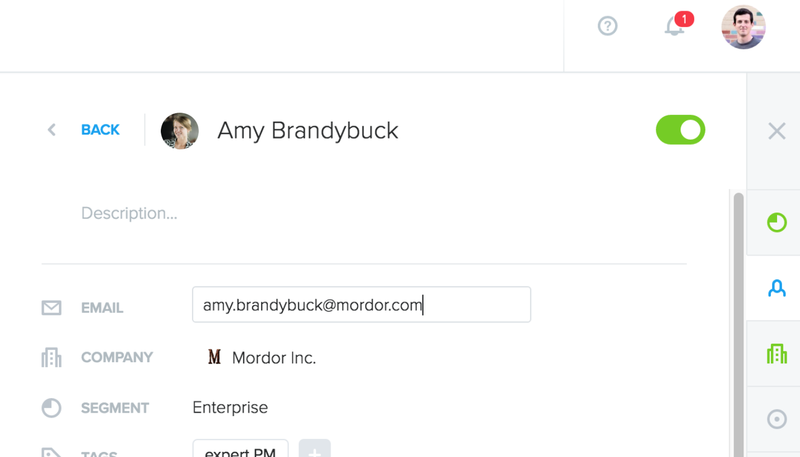 You can now attribute feedback directly to a company, even if you don't know who provided it. That said, there's nothing like knowing exactly who to follow up with for design research or who to notify when a feature goes live. If you can attribute the feedback to someone, you can add them as well. Then select a Company's name to view its details, including all of the feedback associated with it. Given the complexity of enterprise deals, there can be a lot riding on your team's ability to exceed the needs of major accounts. 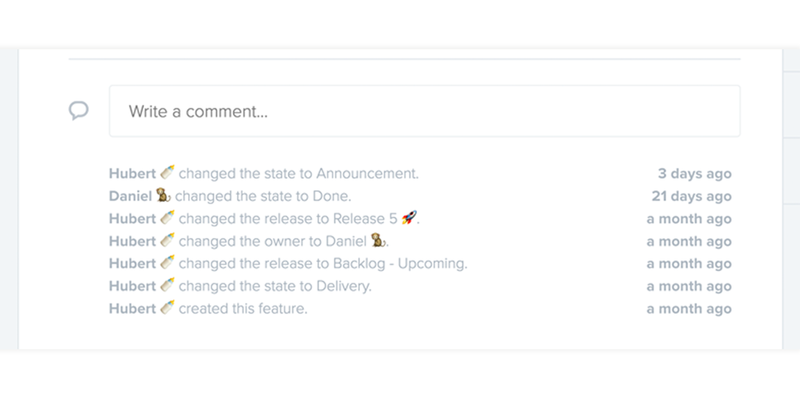 With today's update, we hope you're in an even stronger position to do just that.Bonus ⭐️ You know when you're presenting your roadmap and want to kick things off by sharing what you've shipped recently? Now you can do that by selectively showing/hiding any release on your Roadmap board, even if it's been marked complete. Done showing off your latest release? Archive it using the flag icon to hide it from view. Use the new two-way integration to push features into GitHub Issues and track their status right from within productboard. Consolidate user research & feedback stored in spreadsheets (or solutions like CRMs or survey tools that support CSV export) by importing them to your Research board as new notes. With new advanced search options on the Research board, you can quickly zero in on the right subset of research/feedback notes. Filtering by company is helpful for quickly reviewing feedback from a certain customer company before a big meeting. 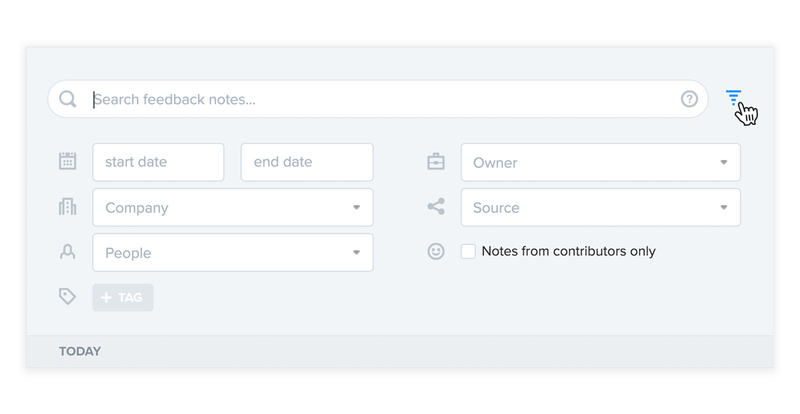 Filtering by owner helps you see just those notes that you or some other colleague added. Filtering to see only notes from contributors makes it easier for the product team to monitor the user inputs they've sent your way. Filtering by source is a great way to zero in on just those notes submitted through a certain channel, like the Chrome extension. We've got a new feature that'll help. You can now export a CSV containing all the contact details for all who've provided feedback linked to a given feature idea. From there, use your favorite email client or automation tool to send out the update. It's a blast to delight your users with exciting news, and there's no better way to show users they've been heard. You'll also get great early feedback before promoting the new functionality far and wide. Shave off a few seconds each time you upload a mock-up, spec, or meme. We're renaming the Research board to "Insights", because user research was really just one of many user inputs being imported into productboard. The Features and Releases boards will be merged into one, simply called "Features". A new grouping dropdown will give you the ability to view your features: by Hierarchy, by Release, By Status and in a Sorted list. Insights – previously named "Research"
Any saved views you had on your Features and Releases boards have now been merged into a single list on your Features board. The Portal is the next big step toward toward fulfilling our vision of better-informed product managers and highly engaged customer communities. Feedback submitted on Portal cards ends up on your Insights board, automatically linked to any related feature ideas.